Sometimes, you just want the best. Seriously, nothing feels better than pure, natural linen. Especially as things heat up this summer. It’s just a fact in the bedding business. Linen is the best. And Libeco Belgian Linens might just be the best of the best. He is a guy’s guy. You know, doesn’t go for the frills or fancy stuff. He just wanted the best, softest, most durable sheets we have. And the answer was obvious. Yes, a set of sheets from Libeco is not an everyday purchase because the price is up there. When you invest in Linen, over any other material, you know you are getting something to treasure. Something you are going to enjoy for a long time. Why do we love linen so much? So many reasons. It feels amazing. It looks great. It lasts forever. The flax Libeco uses is grown on their own fields in Belgium, and processed and manufactured in the same facility they have used for over 150 years. These are truly timeless traditionals. Elegant enough to match any setting. Featured this week is the Nottinghill collection. Rich browns, reds and oranges are the backdrop. Nothing pretentious about this set. Always warm. Always comfortable. Always you. 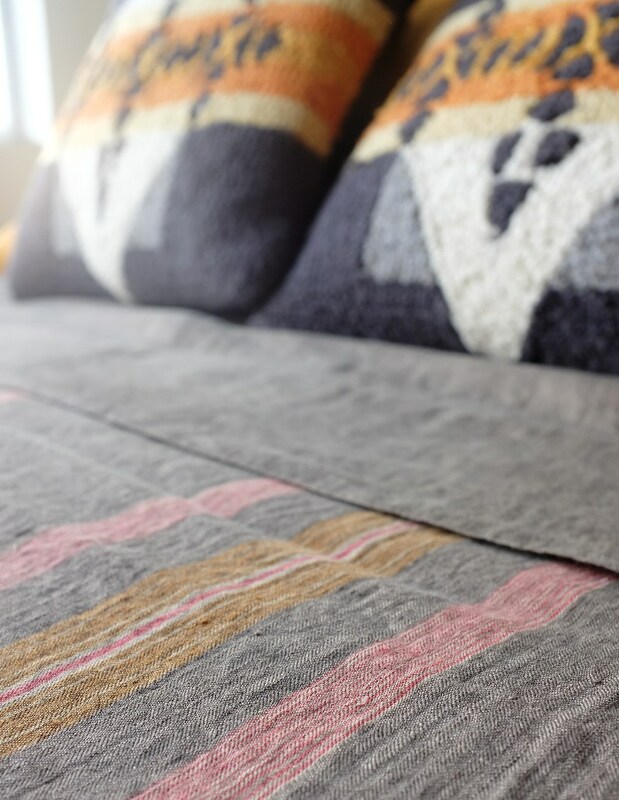 We’ve accented the Libeco this week with the Coyuchi Organic Cotton pillowcases in washed percale ochre. Bright and fun, with some extra pop for summer. 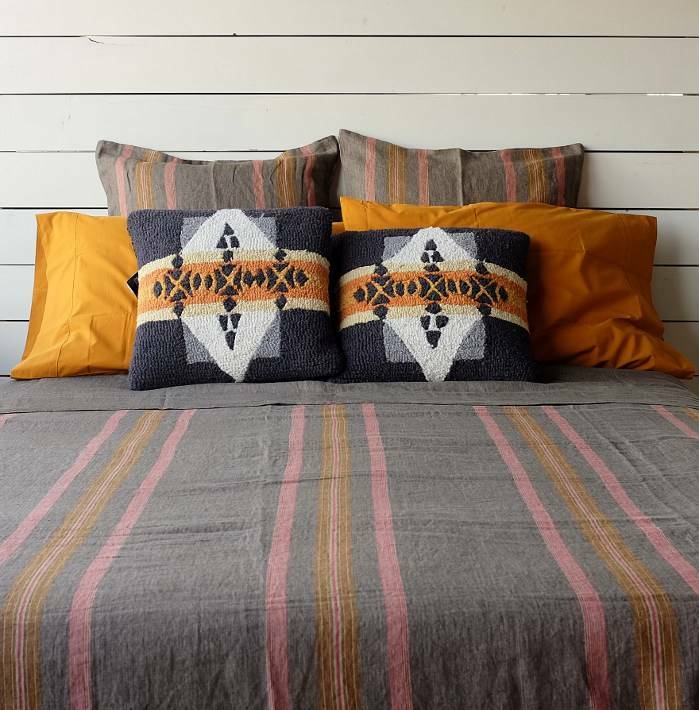 And of course the whole collections wouldn’t be complete without the Pendleton accent pillows. 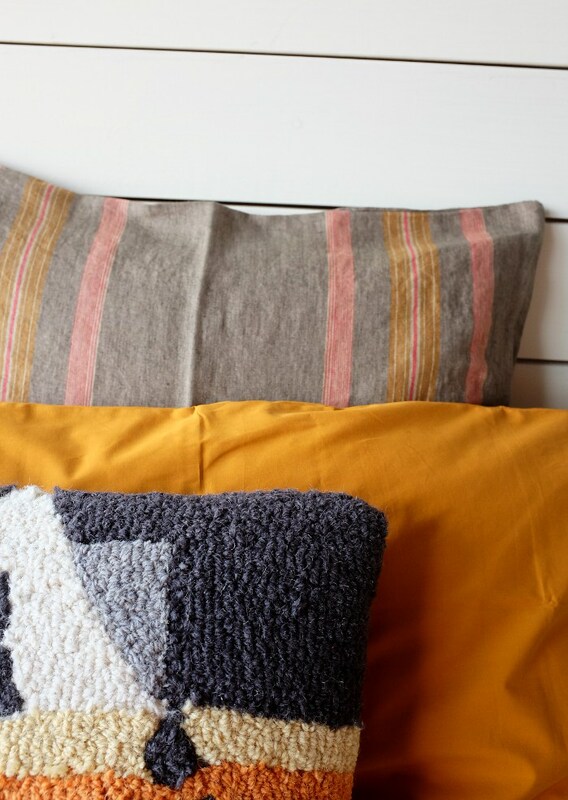 The orange and yellow go perfectly and the hooked wool texture adds depth and richness. I should mention that the Libeco catalog is extensive, and, as a result, we end up doing mostly special orders. You have to wait a few extra days…but more than worth it! Stop by the store to check it out, or give us a call for more details. (403) 452-1001.